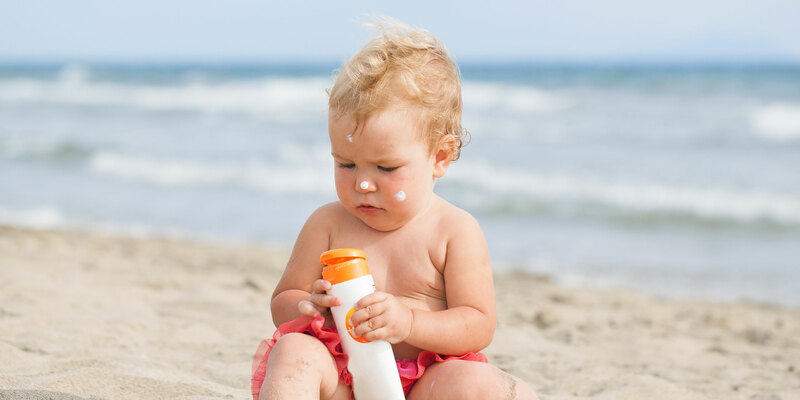 When it comes to sunscreens for babies and kids, not all products are created the same. So how can you choose the right sunscreen for your family? We asked Dr. Mercy Gonzalez, a pediatric dermatologist based in Miami. Q: What should we look for when choosing sunscreens for kids? A: Choose a sunscreen with zinc oxide and titanium dioxide as the active ingredients; the higher percentage of zinc oxide, the better. Always choose something with an SPF greater than 30, as well as a product that’s water resistant. Q: How often should we be applying sunscreen to our kids (and ourselves)? A: I always recommend one good coating on all exposed skin BEFORE leaving the house. Then reapply every two hours while you’re outside. Q: Are there any major differences in sunscreens for babies vs. standard products for older kids? A: A lot of the sunscreens that are labeled “baby” are the “physical blockers”—those that contain only zinc oxide and/or titanium dioxide. Otherwise, there’s not much of a difference. Q: Any other sunscreen tips you recommend? A: I always tell parents to look for the shortest list of “inactive” ingredients, because it is usually one of these ingredients that can lead to skin irritation. Also remember that sunscreen is only one small part of sun safety, especially for children. We shouldn’t rely on sunscreen as the sole method of sun protection. I also recommend protective clothing (I love fancy rash guards! ), hats, sunglasses, etc. Dr. Gonzalez recommends the following sunscreens for babies and kids, all of which contain zinc oxide and titanium dioxide. Elta MD UV Pure has a pure, high-zinc concentration, but rubs in well. It’s especially good for the face, neck and hands, and has an SPF 47. The Cerave Hydrating Sunscreen is lightweight, with a 40-minute resistance to water. Dr. Gonzalez also recommends Cera Ve Baby Sunscreen. Both products are 50 and 45 SPF, respectively. Blue Lizard Baby is free of added chemicals, making it especially ideal for little ones with sensitive skin. It is SPF 30. 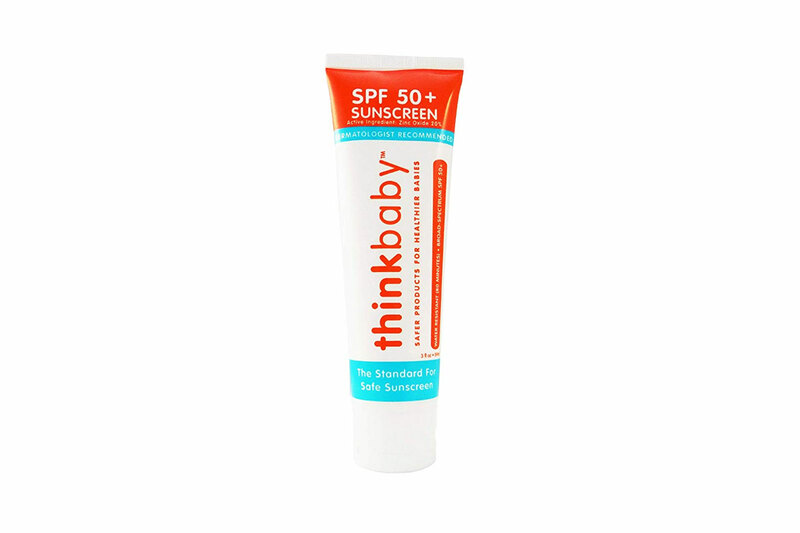 Thinkbaby is a mineral sunscreen with SPF 50, and is water resistant for up to 80 minutes. It comes in roll-on stick form, as well. “My kids like to apply this one themselves. It’s kind of chalky and makes a mess, but I like that they like to do it themselves,” says Dr. Gonzalez. Sparkle Screen Roll-On Rub comes in various scents/colors, including Birthday Cake (with red and blue glitter) and Summer Woods (with green sparkles). It also comes in lotion form.